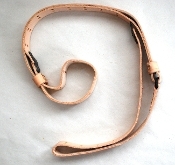 New in wrap 1907 style USGI leather sling. Nylon current issue USGI sling in black. Nylon current issue USGI sling in green.